A right-wing Australian politician has caused uproar on social media after entering the senate chamber wearing a burqa, calling for a ban on the Muslim full-faced veil which she calls “oppressive.” She was immediately chided by the government representative. Pauline Hanson, the leader of One Nation right-wing political party, was dressed in the Islamic garment during Question Time in the Senate, the upper house of the Australian parliament, on Thursday. Brandis, however, didn’t share Hanson’s enthusiasm and criticized her stunt. “I'm not going to pretend to ignore the stunt that you have tried to pull today by arriving in the chamber dressed in burqa when we all know you are not an adherent to the Islamic faith. I caution you …to be very, very careful of the offence you may give to the religious sensibilities of other Australians,” he said, addressing the controversial Hanson. 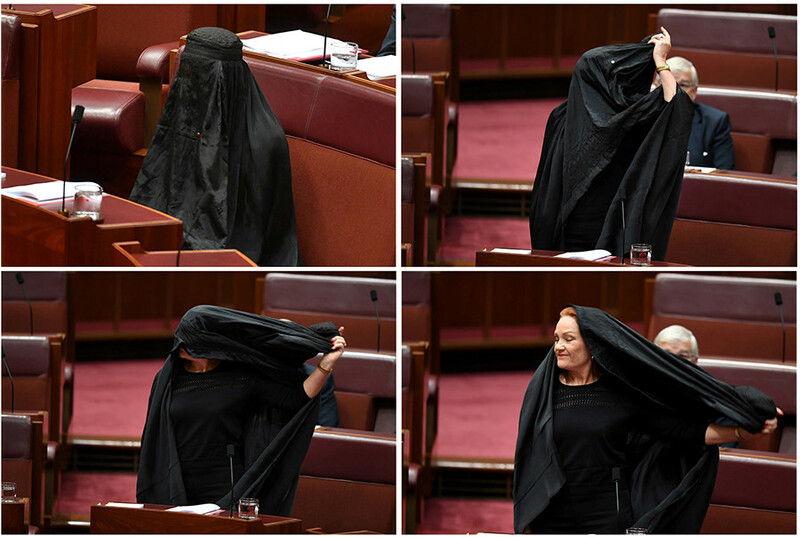 Brandis ruled out burqa ban to applause from many senators. “It’s against our culture. So why come here if they won’t integrate....halt immigration,” one person wrote. Others demanded Hanson be banned from senate sessions. can she be banned for Parliament for a year? Some pointed out that such moves are offensive and could provoke racism. Go away, you reprehensible creature. You really are offensive on the most base level! I think Pauline Hanson is the bigger Nazi? Others slammed the row in the senate, calling it a children’s play. My god. You people are children. We have full on retards and children running this country. @PaulineHansonOz it's time to get psychiatric help. 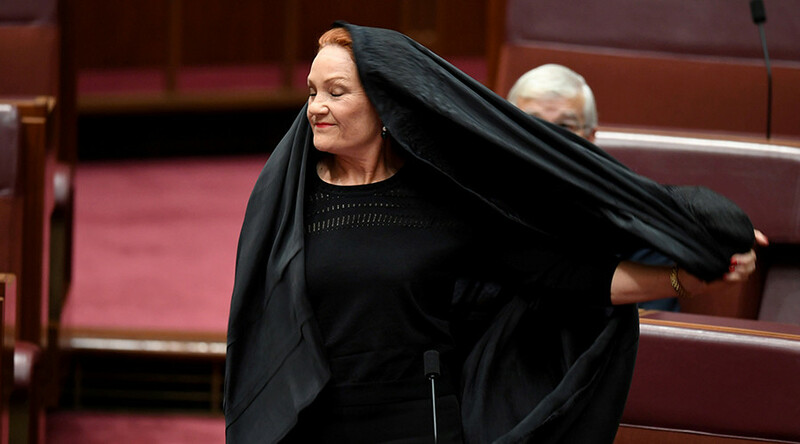 The burqa episode in the Australian senate created a handful of speculations, jokes and memes on social media. Some suggested what other stunts Hanson may present during the next Senate Question Time.